Un bon acteur, c’est celui qui a beaucoup vécu | One quality, the finest. 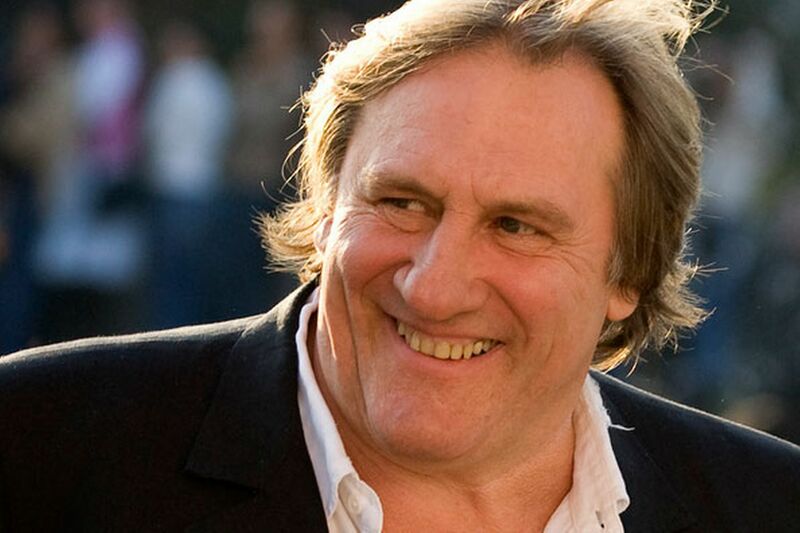 Prolific French actor Gérard Depardieu was born on December 27, 1948. Depardieu was born to a blue-collar family and he abandoned his education when he was only twelve. He left his hometown of Châteauroux, south of Paris, when he was sixteen and moved to the big city where he began to study acting. His roles became increasingly important and it seems like Depardieu was in half of the important French films of the 70s and 80s. He lent his talents to roles as diverse as the ill-fated farmer in Jean de Florette and the lovelorn poet Cyrano de Bergerac. 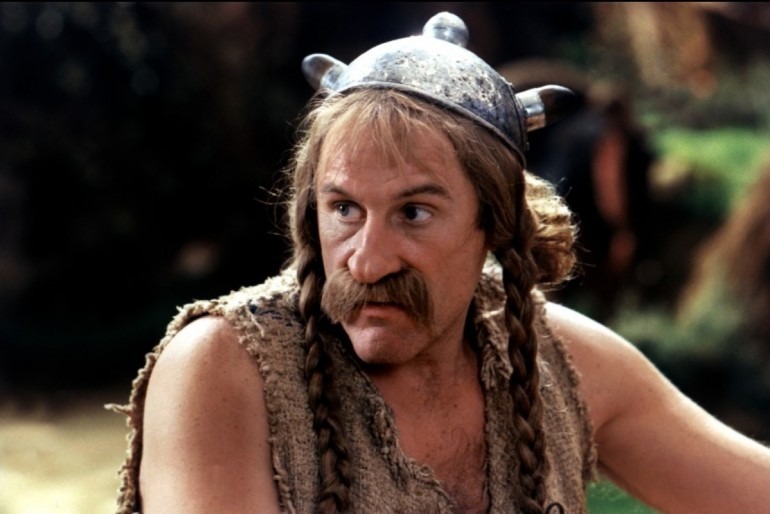 The huge man was the perfect choice to play Asterix in the movie version of the famous bande dessinée. Since 1967, he has completed about 170 movies. He has won two César Awards and received a total of fifteen nominations, won a Golden Globe, and been nominated for an Academy Award. Depardieu’s personal life is a little less gilt-edged. He has had a series of marriages and relationships. His son from his first marriage died from complications from a motorcycle accident. In 2012, he had a couple of run-ins with the law, first due to a violent altercation with a motorist, then for driving drunk when he fell off of his own scooter with a blood alcohol level that was almost four times the legal limit in France. His daughter has publicly distanced herself from him. I have a friend who lives in Depardieu’s Paris neighborhood who has some pretty unflattering stories to tell about him. The year ended with Depardieu moving to Belgium for tax reasons and surrendering his French passport. Then his friend Vladimir Putin welcomed Depardieu into Russian citizenship. He subsequently received honorary Belgian citizenship. Depardieu said, “Un bon acteur, c’est celui qui a beaucoup vécu” (uhn bohn aktur, seh suh-loo-ee key ah bowkoo vaykoo), which means “a good actor, it’s he who has lived a lot.” That certainly applies to Depardieu. 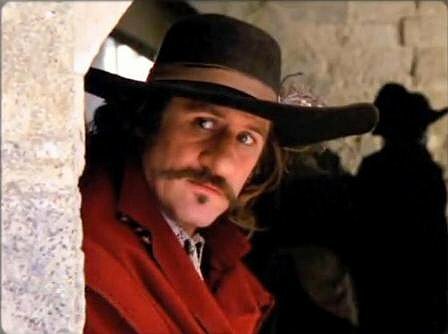 This entry was posted in Movies, People and tagged Cyrano de Bergerac, Depardieu, French actor, Gerard Depardieu, Jean de Florette, Un bon acteur c’est celui qui a beaucoup vécu. Bookmark the permalink. 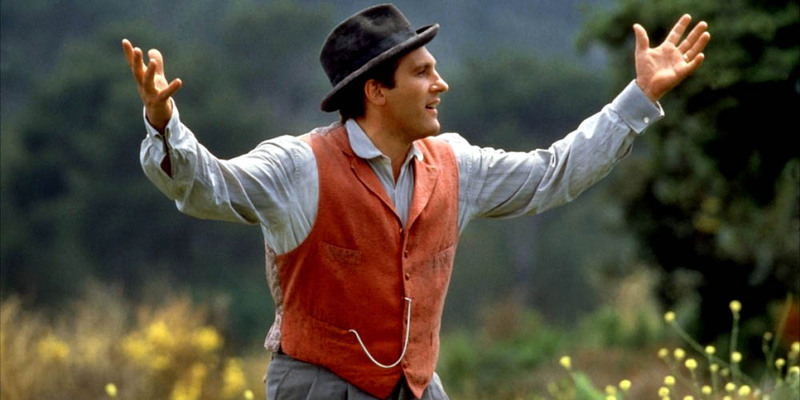 Jean de Florette remains one of my favourite films. Depardieu is a wonderful actor though, sadly, he’ll more likely be remembered for run ins with the police! Pingback: Five on Friday 9 | One quality, the finest.